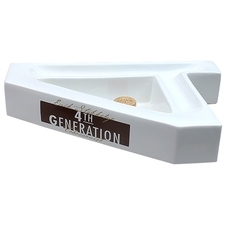 From the maker of the famed 1855, 1897, 1931, and 1957 blends, as well as myriad other accessories, comes this stylish, modern ashtray. 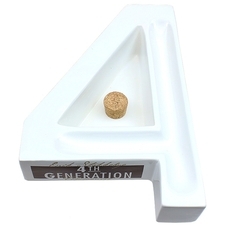 Erik Stokkebye's 4th Generation Ceramic Ashtray features a unique design, emulating the look of the number 4 with two grooves along the right and bottom for resting your lit cigars. A triangular ash well sits in the center, complete with a cork knocker to protect your rim when knocking out ash. A great accessory for lovers of Stokkebye!